If you’ve had the same mortgage since you bought your property several years ago, it may be time for a check-up. As market conditions change, different deals become available. By shopping around, you may be able to save on rates, as well as fees, mortgage insurance and more. In the long term, a lower interest rate could add a significant amount to your retirement balance. Plus, as soon as you start saving, those extra dollars start working for you in the form of compound interest. At the moment, the family home is exempt from capital gains tax upon sale. However, unlike investment properties, your home mortgage costs are not tax deductible. This means that it’s important to pay down your mortgage as soon as you (sustainably) can, while you’re still working. By doing this, you’ll again be freeing up money for investments that are treated favourably from a tax perspective. You may choose to invest in an income-producing asset, to help give you another income stream for retirement. Naturally, we can help advise you on a tax-effective investment that fits your overall needs. Once you’ve paid off your mortgage, it seems easy to ignore the money that goes into home maintenance, repairs, redecoration, and renovation. After all, small amounts here and there seem to pale in comparison to the total amount you’ve paid to the bank over the years. But it’s important to remember that these expenses exist, and may increase while you’re retired – especially if you own a heritage home or have not renovated since moving in. The key here is that, unless you decide to start up a B&B, your house probably won’t be producing any income in retirement. This means that you’ll need to balance the expense of upkeep with income from somewhere – perhaps one of the aforementioned income-producing investments. The statistics show that, while it’s a fast-growing trend, downsizing to a smaller home in retirement still isn’t the norm amongst older Australiansi . 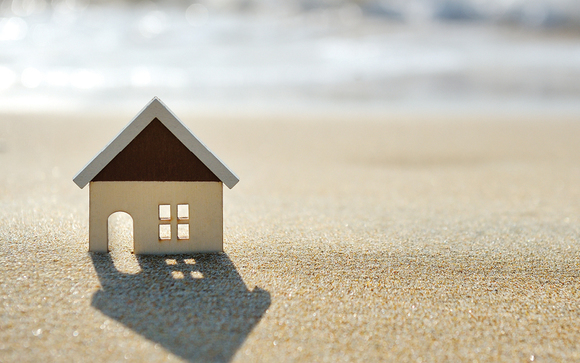 Some are too emotionally attached to their homes, unable to find a new home in their preferred locale, or uncertain about the tax and pension implications. But depending on your circumstances, it can yield a range of benefits. In addition to lower maintenance costs, utility bills and other expenses, you could free up time and feel a sense of refreshment that can only come with new surroundings. On the other hand, you’ll need to take into account sale and moving costs, as well as potential changes to your household budget in your new locale such as rates, body corporate fees if you choose an apartment, and so on. We’re here to help you take a holistic overview of your retirement plan – one that includes your home. If you’d like to discuss anything you’ve read in this article, or just feel like a general chat about retirement planning, please give us a call. What the Federal budget means for you? Preparing to buy property together?